Description : Here we have a fabulous 10in x 8in official Nike brand image photo of Manny Pacquiao. 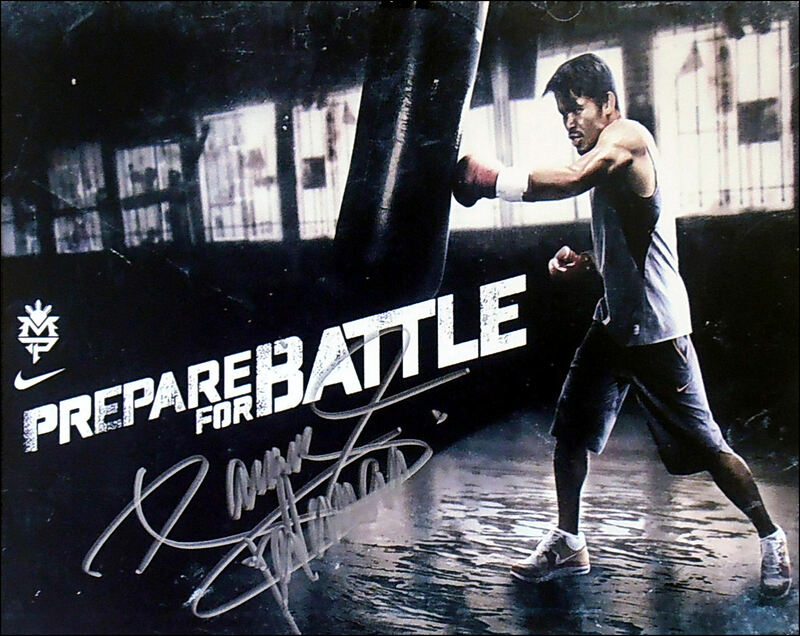 This picture has been signed by Manny Pacquiao in silver sharpie pen at one of his many sports concessions in Manilla, Philippines. 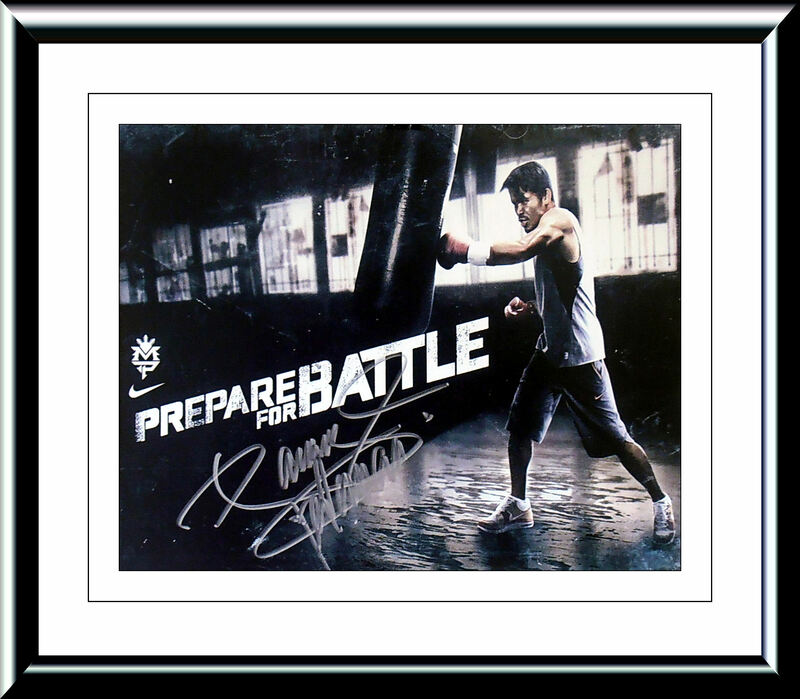 This Manny Pacquiao autographed item was signed in the presence of one of his 'Team Pacquiao' store employees. 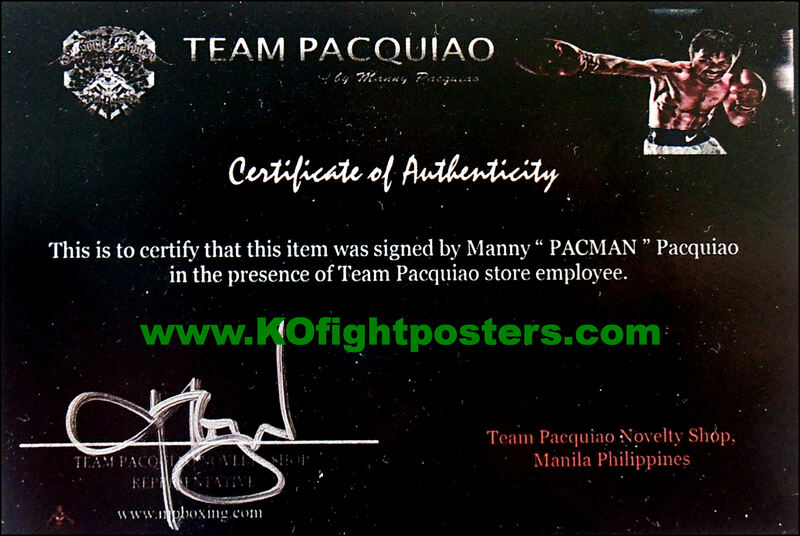 This autographed Manny Pacquiao item will come with a covering letter of guarantee of authenticty from KOfightposters along with the 'Team Pacquiao' cert.